Canadian Bio-Systems Inc. (CBS Inc.) has introduced a new "Power of 5" program available for livestock operations in the U.S. and Canada, designed to maximize animal performance and economic value through an integrated approach to feed enhancing products. "The CBS lineup of feed products for livestock operations includes a range of different formulations that each have unique strengths and represent different pathways to boosting profitability," says Owen Jones, CBS Inc. president. 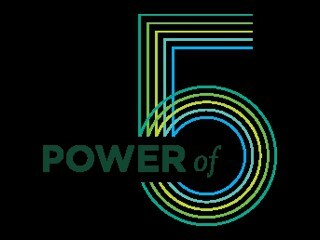 "The Power of 5 is an integrated program that allows customers to get the combined benefits of five of our top products in one purchase and a customized application approach, for overall more cost effective and powerful results." The Power of 5 is a simple concept. Five products. Five benefits. A combined multiplier effect that increases the return on investment. The Power of 5 suite of products is available for use with different types of livestock operations including swine and poultry, typically delivering a return of several times over the initial investment. In addition, for a limited time, customers who purchase five bags from the Power of 5 suite of products are eligible to receive instant payback through a gift certificate promotion. "In today's competitive environment swine and poultry operations need to consider every advantage," says Mark Peters, CBS Inc. manager of sales and marketing. "More often than not, there is not a one-size-fits all solution and the most effective strategies involve a combination of products to get the most out of every bite of feed. The Power of 5 offers a simple way to get all the major benefits you need in one approach using a combination of proven, science-based technology." Power of 5 suite of products includes Biogal-S Plus, Maxi-Gen Plus, Maxi-Cid, NutraMix and Mico-Bac. Five major benefits include feed efficiency (improved digestion, average daily gain and feed conversion rate); supporting optimal health (improved gut health, immune status and vaccine efficacy); improved reproductive performance; increased alternative feed stuff usage; and improved cost efficiency (less expensive diets and reduced feed cost per animal). "Each product represents a safe, natural way to enhanced nutrition, feed value and profitability that fits well with today's rising consumer expectations in food production," says Peters. "Most important, each is carefully and uniquely tailored through years of research and development to reduce cost, enhance results and help livestock operations substantially increase their bottom line." Canadian Bio-Systems Inc. is an innovation-focused company that manufactures a broad portfolio of products used in feed, food, industrial and environmental applications. All products are backed by the CBS Inc. team and its strong commitment to service and technical assistance. 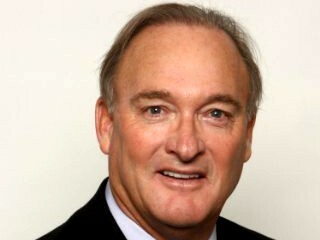 More information on the company, its products and key customer contacts is available at www.canadianbio.com. CBS Inc. products are also available in the U.S. through distribution partner Wilbur-Ellis Company.